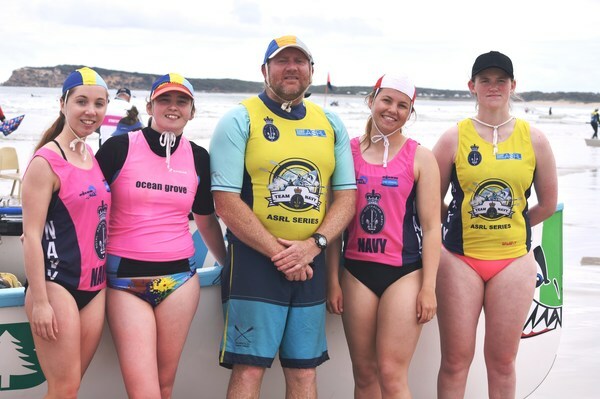 A local surf boat crew claimed second spot at the Life Saving Victoria Surf Boat carnival at Ocean Grove SLSC on Sunday 11 November. The composite Under 23 Ocean Grove SLSC/13th Beach SLSC women’s crew was led by Ocean Grove SLSC surf boat captain and sweep Paul Scherf. Ocean Grove’s/13th Beach crew consisted of Felicity Fulcher, Sam Webster, Grace Davey and Madi Wilding. In the best of three races – St Kilda (30 points) won all races and grabbed top spot in the Under 23 female competition. Ocean Grove/13th Beach (27 points) finished second and Mordialloc (24 points) came third. Scherf said with an early start to season the local crew improved in each race. “We got better as the day went along,” Scherf told the Voice. “It was the girls’ first carnival – they were up against some good crews. “We are a composite crew between two clubs. 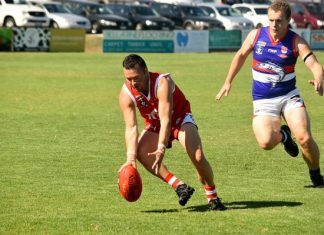 “This is a Life Saving Victoria carnival (at Ocean Grove) and it is open to all clubs in the state. SCHERF was hopeful Ocean Grove/13th Beach would field more crews at the next Victorian Surfboat Rowers League (VSRL) competition at Lorne on 2 December, including a men’s crew. He said attracting more males into surf boats in the Ocean Grove region is a focus. The November LSV event at Ocean Grove was the first surf boats carnival for the VSRL 2018/19 season. 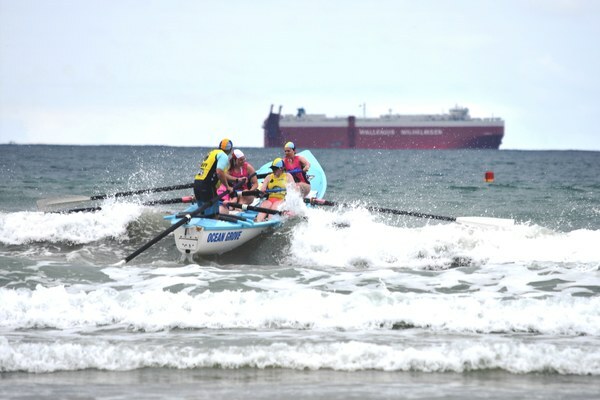 Clubs including Lorne, Torquay, Port Fairy, Port Campbell, Fairhaven and Portsea and Melbourne-based bayside crews St Kilda and Mordialloc competed in men’s and women’s competitions at Ocean Grove main beach this month. “We would like to attract more males,” he said.